To see the ascetic beauty of Chotokuji, a 400-some year-old Buddhist temple in Niigata, one must pass through a town that’s seen better days. A brief trip from the nearest train station, Chotokuji presides over a corner of Shibata City that time seems to have left behind. A once-thriving open-air shopping strip making up the town’s main drag attests to economic decline and the flight of young blood; the white roll downs memorializing closed businesses look like summer teeth among the dimly-lit interiors of surviving operations. But despite its small and aging population, the barren and disheveled look of its streets and thoroughfares, Shibata is a strong community – staunch in the face of economic woes, adherent to the best of Japanese values, and proud of their city’s claims to fame. 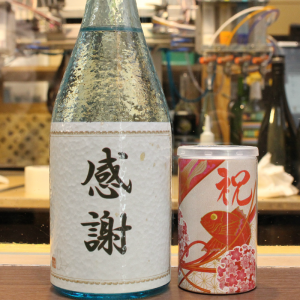 Among them, Shibata is home to KIKUSUI – one of Japan’s foremost sake makers. 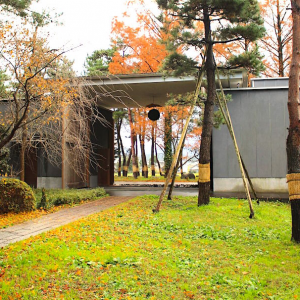 And it’s also the site of a fascinating case study on the evolving role of the Buddhist temple in modern Japan, and the interesting ways in which the country’s religious traditions, sake traditions, and local communities interweave. Chotokuji has occupied the same slice of Shibata land in one form or another since 1585, according to Chief Priest Masataka Sekine. 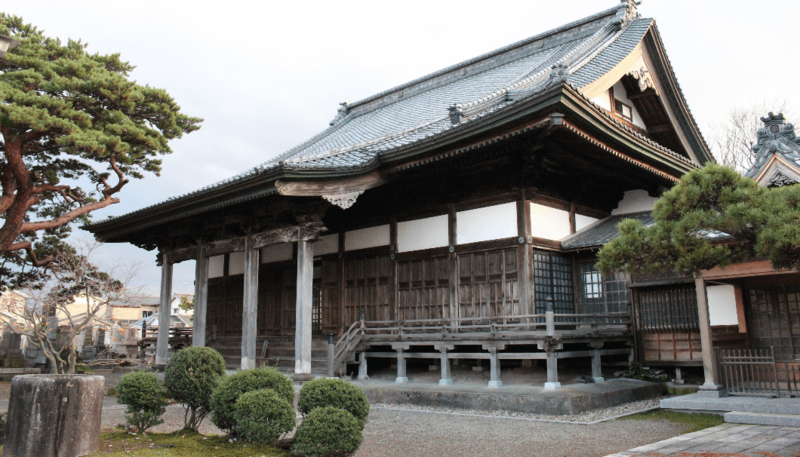 The original main hall of the temple, though, was ravaged by fire in the mid-1800s – an all-too-common fate for the primarily wooden structures of old Japan – and its replacement reached completion at the end of the Edo era in 1850. From its inception, Sekine explains, Chotokuji, like many Japanese temples of old, served multiple vital functions in the community. Shibata itself is something of a “temple town,” its neighborhoods having sprung up largely in unison with a network of interconnected houses of worship. These temples naturally became focal points of life in Shibata across many generations, where their attendant monks lived to serve the town’s populace. 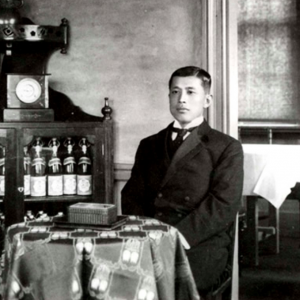 Historical records show, for example, that during the 1868 Boshin War just prior to the Meiji era, Chotokuji pulled double duty as a hospital for wounded soldiers. 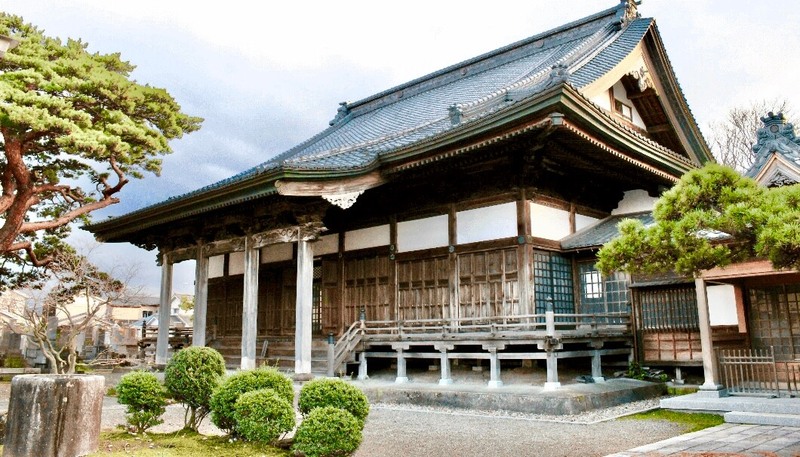 Traditionally, temples like Chotokuji also hosted and officiated weddings, held memorial services for the dead, watched over the community’s children while parents worked, and provided space and materials for religious and academic study as precursors to modern libraries. But times are changing, Sekine laments. Kids have beautifully-kempt public parks and video games. Memorial services at temples are on the decline. Japanese young people – who, as the saying goes, are “born Shinto, marry Christian and die Buddhist” – opt for wedding ceremonies at Japan’s many gaudy faux churches. Wooed by modern conveniences and luxuries, they are drifting away from temples. And the temples, in turn, are suffering a crisis of diminished influence in the communities they serve. In fact, Sekine sighs, in the recent past, extended periods characterized by lack of funds has presented a threat to Chotokuji’s very existence. With so many of the temple’s historical roles now filled by private businesses, government-funded amenities and trite modern distractions, temples must modernize or die. The priest, for his part, is a thoroughly modern Buddhist. He carries a smartphone and references Keanu Reeves films in passing. He’s got an eye for modern graphic design and a couple of charmingly hipster-ish qualities like a penchant for local craft sweets. 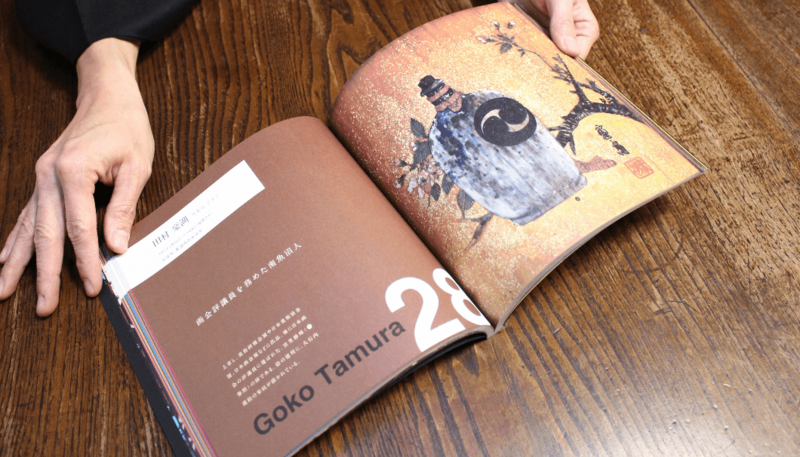 He’s pulled strings in the community to get a slickly-produced Chotokuji photobook printed. And he’s hatched some very forward-thinking plans to keep Chotokuji relevant in 2019 and beyond. One such plan to see fruition at Chotokuji was a cooking class – now held regularly – for young couples and other community members to sharpen their culinary skills. Targeting less-experienced cooks, who naturally skew younger, the classes have managed to bring young locals back to the temple and restore some of Chotokuji’s traditional functionality as a kind of community center. KIKUSUI, the aforementioned sake manufacturer known worldwide for their unique Funaguchi Shibori canned sake line and headquartered just a few miles away, caught wind of the cooking classes and stepped up to offer free sake kasu for class recipes. Sake kasu is a byproduct of the sake fermentation process that pops up a lot in Japanese recipes both modern and traditional. KIKUSUI itself, despite being a relative scrappy upstart in the grand sake timeline, has called Shibata home since its founding in 1881. The company has maintained deep ties with the local community ever since and has kept cozy with fellow local pillar Chotokuji in turn. Sake kasu-infused cooking classes are just the beginning of these two local institutions coming together to give back to the people of Shibata. 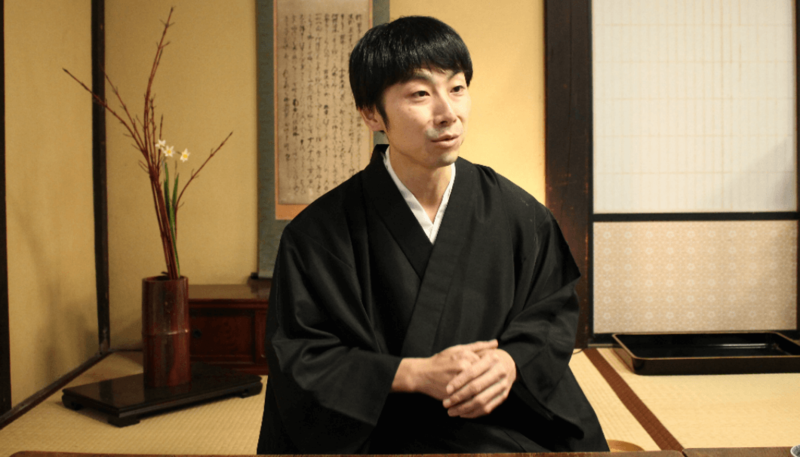 Rakugo, a somewhat archaic form of traditional Japanese storytelling and possibly Japan’s closest analogue to western stand-up comedy, is a popular pastime for KIKUSUI employees. Putting on rakugo performances apparently took hold among staff members thanks to a particularly dedicated engineer’s passion for the art form. It was just a matter of time until KIKUSUI’s enthusiastic rakugo club found a grander stage than the brewery’s break room.Chotokuji now hosts KIKUSUI’s rakugo performances for community members to enjoy. 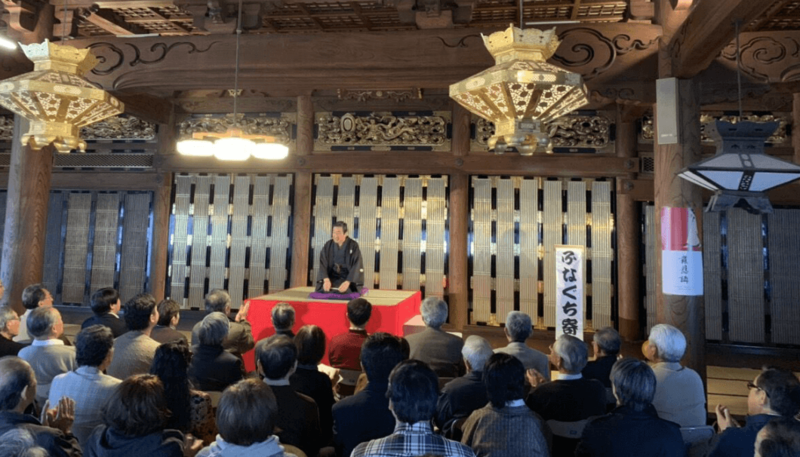 Ironically, putting on rakugo performances for locals is yet another community function, historically filled by temples, that’s been usurped by modern developments; in this case, by glitzy government-funded event halls. In a way, the KIKUSUI-Chotokuji rakugo shows are bringing things full circle. Finally, there’s Chotokuji’s Kodomo Shokudo food bank. While Shibata’s kids couldn’t possibly be described as “impoverished,” Sekine acknowledges that there are children in the area occasionally in need. “But we don’t want to only serve families in need,” he says. “We don’t want to single them out. If it’s only the ones in need dropping by, it’s embarrassing for them. People [in the neighborhood] would know these families are maybe going through some trouble. So, we invite everyone.” Thus, the Kodomo Shokudo brings volunteers together with disadvantaged families and local kids just looking for a snack to fuel their sports, study and extracurricular activities. 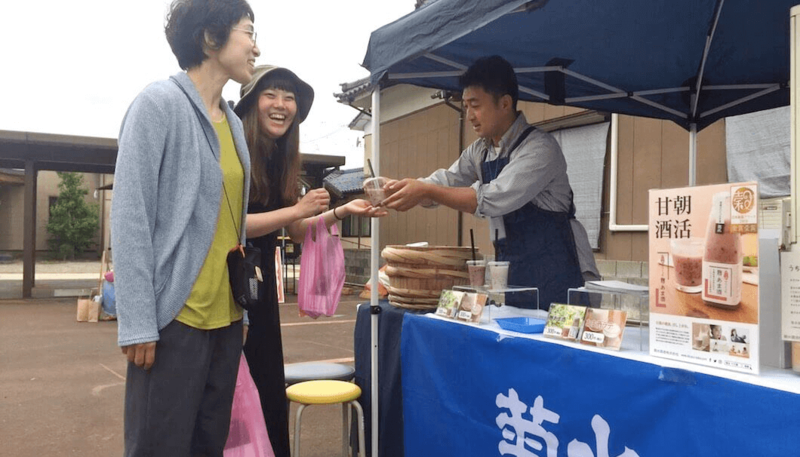 And, unsurprisingly, KIKUSUI pitches in by partially funding the food bank and offering up sweet, alcohol-free ama-zake; a traditional koji concoction that’s generally loved by children of all ages. Through their efforts, Chotokuji and KIKUSUI are giving back to the Shibata community that has helped them thrive as institutions. Both face a long road of challenges ahead, as modern conveniences seduce today’s Japanese away from religious life, and the influx of beer, wine and other spirits threaten to crowd out the country’s national boozy beverage. As important as it is for each to pivot and evolve with the times, it’s equally important for these entities to nurture and care for the very people that have enabled their success in the first place – their neighbors. In the face of Shibata’s economic difficulty and the diminishing local relationships that have long served as the foundation of small-town communities, Chotokuji and KIKUSUI are exemplary of the symbiotic nature of community and business, and how taking care to maintain your roots can help local communities to thrive in ways that can’t simply be supplanted by the cookie-cutter proposals of more globalized offerings..
Back on Chotokuji’s luscious temple grounds, Sekine makes his final rounds for the night. 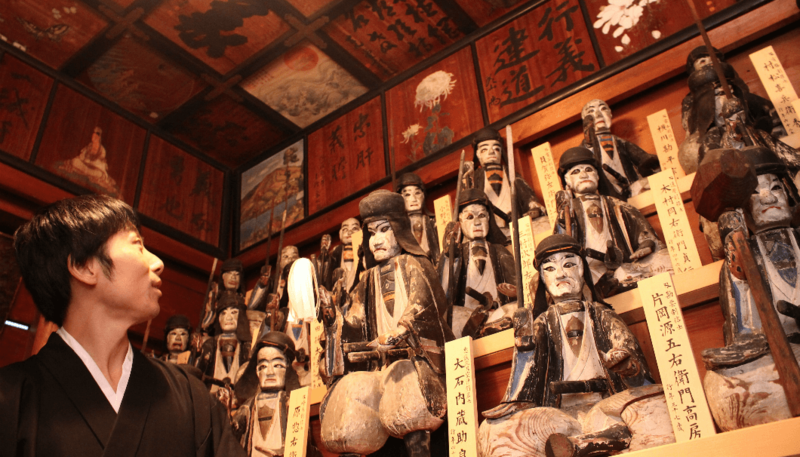 Stopping at a tiny annex near the entrance to the grounds, he unlocks a security door to step into a drafty room lined with hand-carved, wooden statuettes of Chotokuji’s previous masters, dating back hundreds of years. Their painted eyes have been watching over Shibata’s growth, successes and hardships this whole time. Their frail wooden bodies are in various states of decay, but are gorgeous in their meticulous detail and invaluable in their historical significance. They stand testament to the fragile, yet timeless nature of community, serving as a reminder that there are still plenty of things worth fighting to preserve.